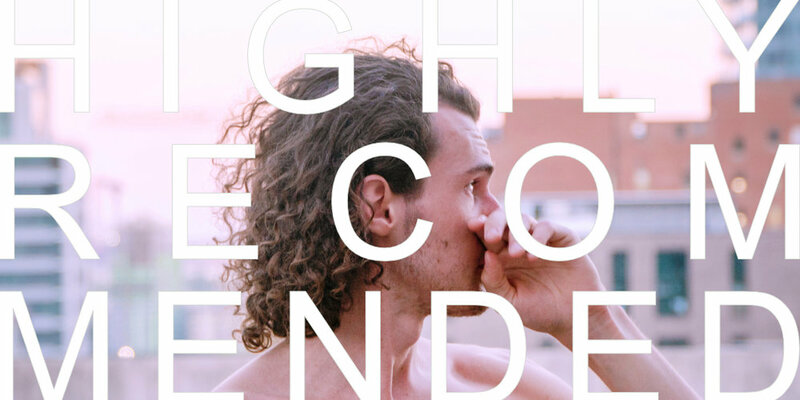 * Providing the A's to the 5 HIGHLY RECOMMENDED Q's today is Patient Hands — a Montreal based artist whose album ‘Stoic’ can be zoned out to over on Bandcamp (track ‘Something Vanishing’ recently featured on HI54 mix cd ‘DO YOU ¿ YOGA’). I have a fond memory of driving from Saskatoon to Calgary with my Dad for a wedding listening to those records. He thought they were just so cool. I’m a pretty serious philosophy student, so the next thing I read will probably be work-related. 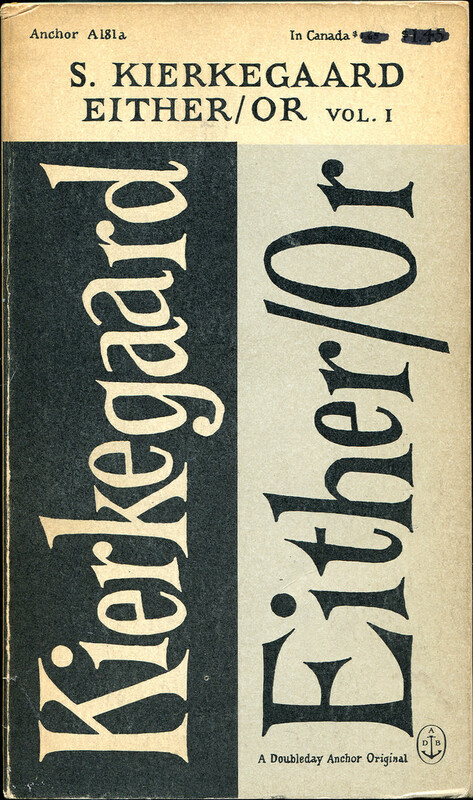 I’m planning to finally pick my way through Kierkegaard’s Either/Or, his first – and during his lifetime – most popular work. It was published under the Latin pseudonym Victor Eremita (“Triumphant Recluse”). People often referred to Kierkegaard as this pseudonym, which was customary at the time in formal settings (like in correspondence), but they continued to do so late into Kierkegaard’s life, well after he had adopted many other pseudonyms (my favourite of which is ‘Hilarius Bookbinder’). There’s a great story from sometime in 1852-1853 when an unnamed German scholar was in Copenhagen, who paid Kierkegaard a visit, no doubt trying to see the town’s curiosity. Kierkegaard received him politely but told the German that his brother, the doctor, was a very learned man, and that the German was probably looking for him, because he (Kierkegaard) himself was merely a beer-seller. Triumphant indeed. If I were to pick something unrelated to work – I was recently recommended the first book of poetry from a Montreal-based poet, originally from South Africa. Her name is Klara du Plessis, and the book is called “Ekke”. My friend wrote an insightful review here. So I’ll choose a YouTube channel called ‘Steve1989MREInfo’. I would be sad if that disappeared. Basically, it’s a guy who buys and reviews MREs (“Meal, Ready-to-Eat”) and other military rations. He talks a lot about the history of each item which I really like. And he has cute idiosyncratic catch phrases, like when he opens an item and says, “nice hiss!” His videos are really well edited too. He has this one video where talks at length about the differences between “Coffee, Instant, Type II” and “Coffee, Instant, Type III”. There’s something so pleasant and heart-warming about watching him eat these things. And he has a true passion for the subject matter. I guess I would suggest that people try to take better care of their bodies. I can feel myself aging, which sounds ridiculous at 24, but I could feel myself aging even at 19. I quit drinking except for the rare occasion before I turned 20. There’s a boxer named Bernard Hopkins, legendary for his longevity (he was still competing at the highest level of the sport until he was 52). He talks about how investing in your health in your 20’s will pay dividends much later on. For him that meant living a monk-ish lifestyle, but it also meant not sparring too much, and making sure he rested appropriately. When I was 22 I started to take this idea seriously. So now I exercise and try to eat and sleep well, and I watch my stress levels. And I try to take care of my hearing. I also play around with things like fasting, and cold thermogenesis – largely owing to my brother’s influence. I recommend that people check out a longevity specialist named Dr. Rhonda Patrick. She’s made a point of trying to be a public figure, so she has tons of resources up online and she does a lot of interviews and so on. Highly recommended. OK folks, there you have it. Things that Patient Hands thinks you should consider incorporating into your day/life. Before you log off and go start taking care of your body, make sure to follow Patient Hands on the Facebook & the Instagram & then pop over to Bandcamp and do a little Patient Hands audio exploring.